Solder Paste (Printing Grade) | Nihon Superior Co., Ltd.
SN100C P504 D4 is Nihon Superior’s latest general purpose solder paste and is suitable for fine pitch applications. Excellent reflow to the cut edge of the termination. SN100C P506 D4 is a lead-free (Sn-Cu-Ni-Ge), no-clean solder paste that can be stored at room temperature for more than 60 days without deterioration. This new material will not only simplify stock management, but also improve productivity with excellent consecutive printability. 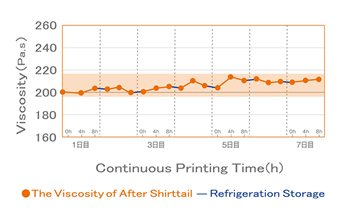 Good printability and stability of viscosity maintained during continuous printing. High reliability lead-free solder paste optimized to deliver good reflow with chip components down to 0402 metric. SN100C P520 D5 improves the joint quality of densely populated boards with filletless, small solder volume chip components and fine pitch mounting in which a reduction in joint strength is a concern due to the very small joint size. Rheology optimized for fast printing at low squeegee pressure. High tack and long abandon time (response to pause). Flux activation system optimized for good wetting on substrates with marginal solderability. SN100C (SnCuNi+Ge) P800 D2 is a high reliability paste for device assembly that reduces voiding and reflow time. SN100C P810 D4 is low-voiding lead-free solder paste. When reflowed with SN100C P810 D4 large-area solder joints such as those between power semiconductors and their substrates have a lower incidence of voiding than if reflowed with conventional lead-free solder paste. While delivering low voiding this high reliability lead-free solder paste is also formulated to deliver excellent reflow with minimum mid-chip balling and exhibits excellent wetting on all common substrates. Reduced voiding in each atmosphere compared to previous product. Please contact sales department for more information about this product.